1) Paint the room. First, remove the 3 x 3 foot mirror that had been glued to the wall inside of the door. In the process, tear the drywall and spend 2 days patching, sanding and priming. Spend 4 hours removing wallpaper (some of which is behind the drywall for the new wall that was added at some point) Paint walls, ceiling and trim, 2 coats. 2) Replace the toilet which is 30 years old and uses more water than necessary. 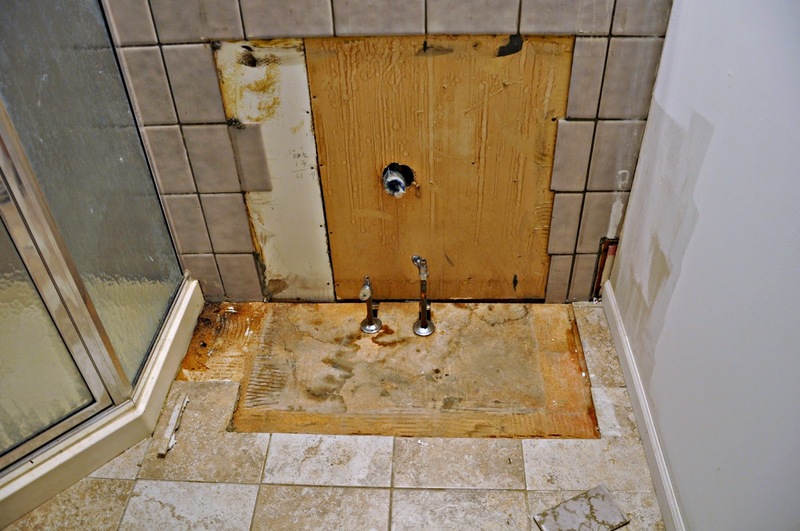 During the process, discover that part of the ceramic floor tile around the toilet is loose. Re-set the tile and re-grout. Install toilet. For the record, I considered a tutorial about replacing the toilet. 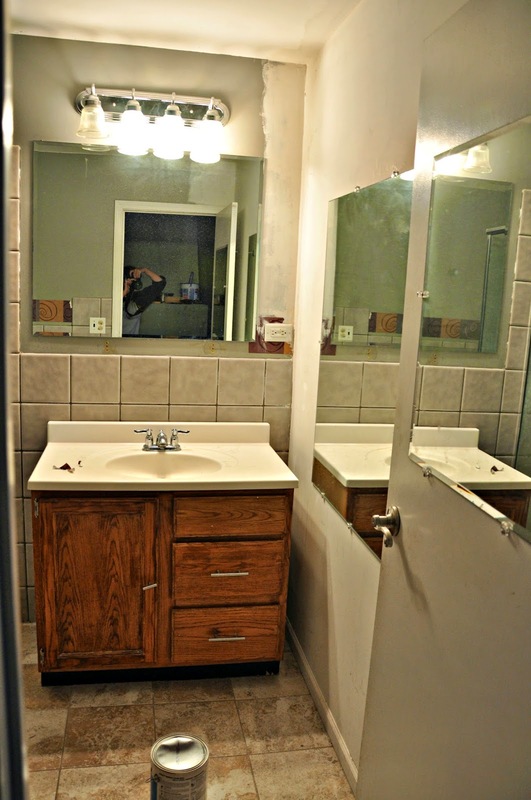 3) Replace the cracked sink and paint the vanity. 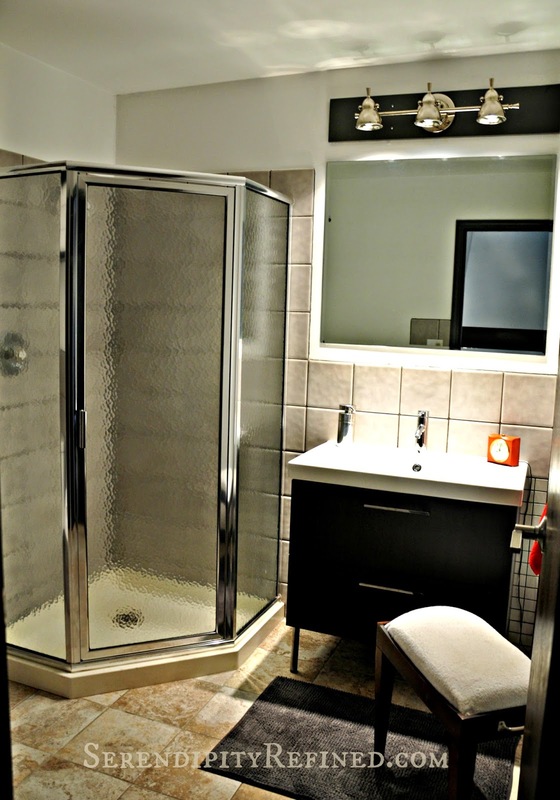 Discover that both of the shut off valves leak and need to be replaced. Also discover that the bottom of the vanity is ruined from water damage. Decide to replace the vanity. 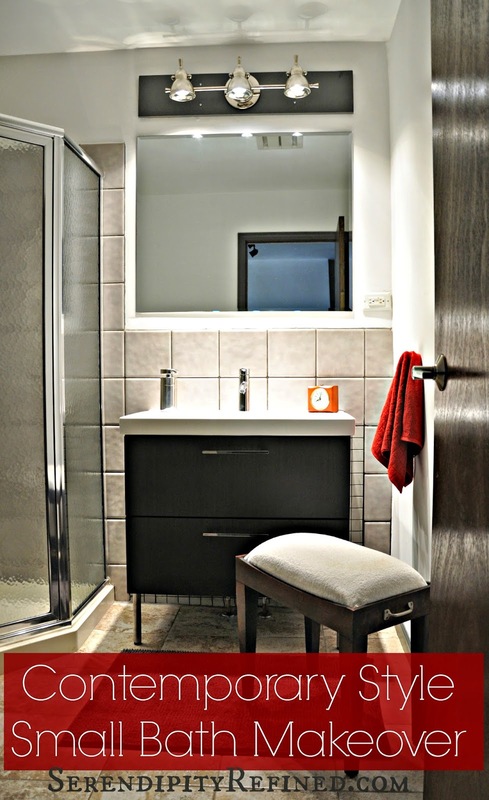 Remove the vanity and find out that there's no tile under it or behind it. Spend several days locating tile that will coordinate with the 30 year old tile that's already installed. 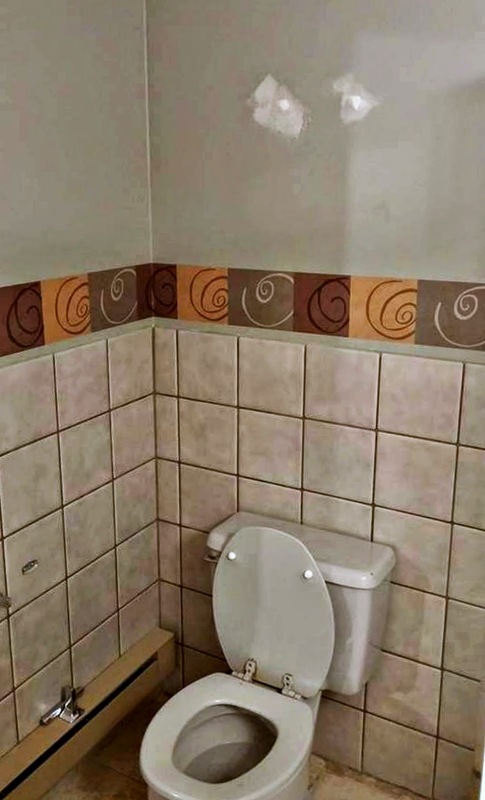 I thought that gray tile would be easy to find. Carefully remove sections of the old tile to form straight lines within which to set new tile. Set and grout the new tile. Purchase new sink, faucet and cabinet at Ikea and assemble. 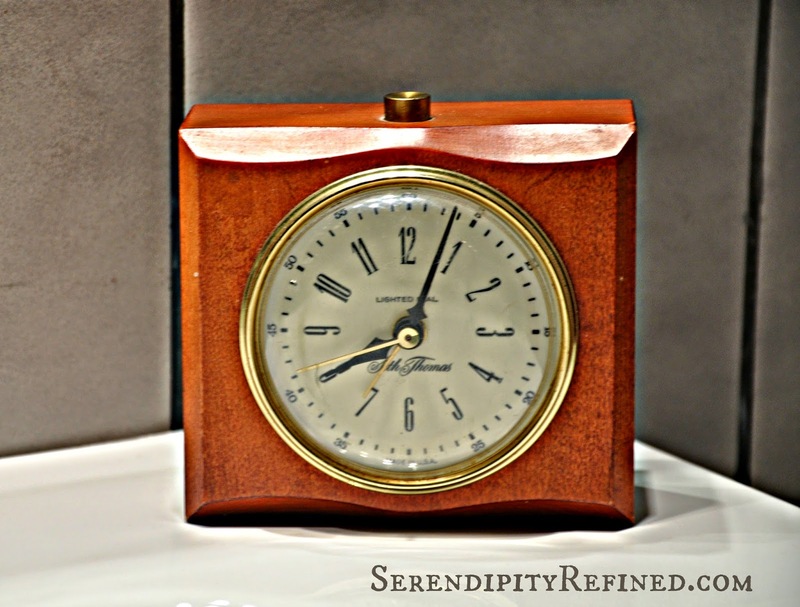 Discover that the copper water supply lines are in the wrong spot for the new cabinet. Hire a plumber to move the copper supply lines. After nearly two weeks, install cabinet, sink and faucet. 4) Attempt to remove mirror that has been glued to the bathroom door. Break the mirror and ruin the door. Make a trip to Home Depot to purchase a new door. Decide on one without the jamb...just a solid slab. Sand, stain and polyurethane door slab. Hire a handyman to use a router to cut the door to accept the hinges and drill for the lock set. Install lock set and hang door. 5) Replace light fixture. Purchase new light fixture and discover that the wiring box is in the wrong spot. Move the wiring 8 inches to the left using flexible metal pipe. Install the new box. Put a cover on the original box and cut and paint a 1x10 board to cover both of the boxes because you don't want to spend one more day replacing and patching the drywall (besides, it looks kind of nice now that it's there). 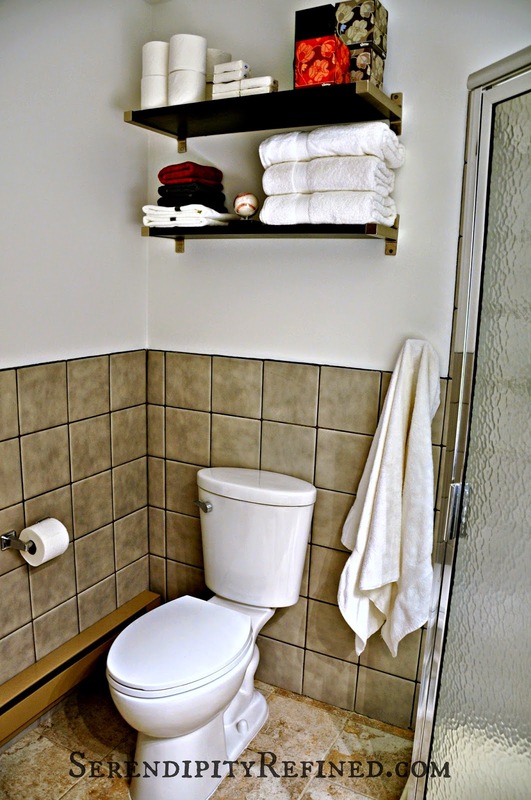 6) Install shelves above the toilet. Make a third trip to Ikea. Wander aimlessly through the fabulous displays and realize that you've completely missed the section with the shelving. On the way back to shelving, stand, in awe, in front of one of the most impressive displays of hooks that you've ever seen. 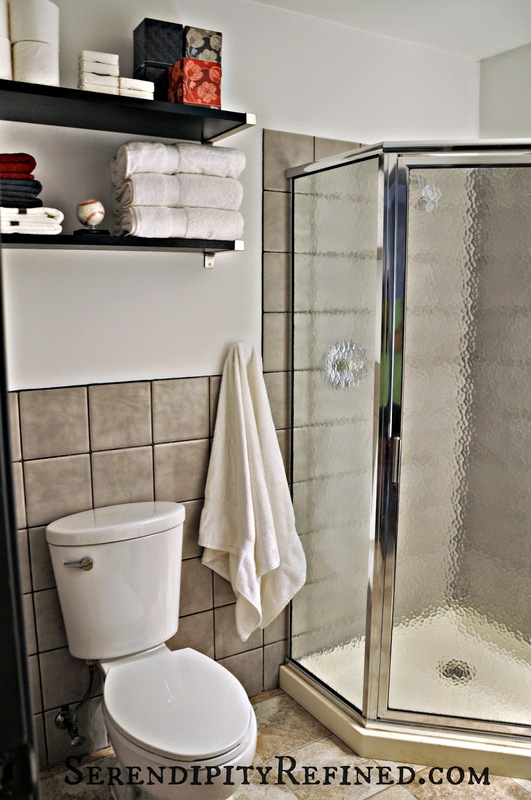 Spend 20 minutes contemplating different types of hooks and how they would look in the bathroom. Finally settle on two cute chrome hooks at $4.99 each. Finally make it back to the shelving, buy the two shelves that you actually need and a couple of other shelves as a second option in case your client son doesn't like the ones that you chose. 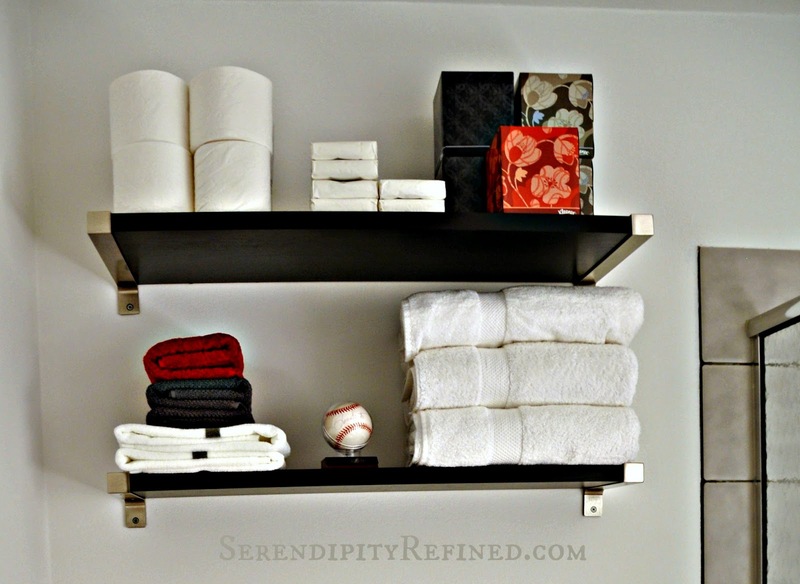 Install hooks and shelves (after cutting them to length and making a trip to the hardware store for wall anchors and screws (not included)). Voila! 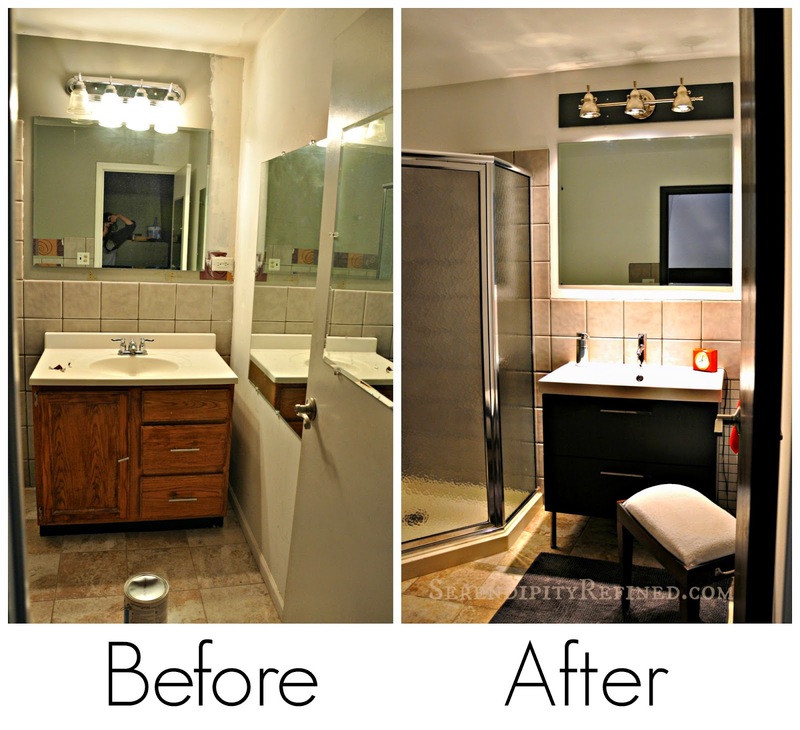 Just over a month later, the bathroom renovation is complete. Well, almost complete...I still have to decide what to hang on the walls that is both contemporary and, according to my client, "meaningful". I'm still trying to figure out what that means. Door Finish: General Finishes Gel Top Coat Satin.